Welcome back to our special 2 part post. Previously, we discussed diamond ring trends throughout the last century, and we worked our way up from designs featured at the turn of the century, right through to popular designs in the 50s. This month, we’re moving on to designs from the sixties and we’ll look at how design has evolved up until now. 1960s With the sixties emerged more experimental designs that featured new stone cuts and stone shapes. You may have drawn a breath at the sight of a glamorously set emerald cut stone, or have envied the hand with a pear marquise diamond. Most designs were featured on a solid gold band. 1970s While for the most part, quality remained the central focus of rings that were popular in the 70s, themes of the 70s did not escape fashion-forward jewellery lovers of the era. You may have worn a flower-shaped multi-stone piece as your engagement ring, or perhaps enjoyed a tumbling cluster of gems in a high-quality setting. 1980s Back to platinum and white gold we went. Coloured stones that reflected the glitz and glamour embodied in the 80s were strongly preferred, gems that were worn by trendsetters would eschew traditional settings and lean to exciting designs that pushed the style envelope. 1990s Rose gold was big in the 90s- but wanting to move away from the perceived gaudiness the 80s was blamed for ( unfairly, in many ways!) the most popular designs were then attributable to colourless stones, and plainer white golds and platinum. A trend to shape mixing was evident, with rectangular stones often being set deep into very solid designs that shirked fanciness and filigree. 2000-2018 With coloured stones back in the game, we’re certainly seeing a less rigid approach to trends and a far more broad approach to individual style, personalised choices. Simply, it’s about what looks great on your hand. Where platinum and white gold are considered very popular, yellow gold stays on as a timeless choice. With increased accessibility to highly skilled gemmologists and jewellers, we are now seeing custom created designs that give a nod to many of the beautiful styles that were popular through the century. Which designs of the past strike a chord with you? Would you like to revisit a popular cut, setting or look for yourself? If you have a strong penchant for antique rings but would like to be reassured about longevity, perhaps a re-creation would suit you well. A skilled jewellery consultant can always point you in the right direction. 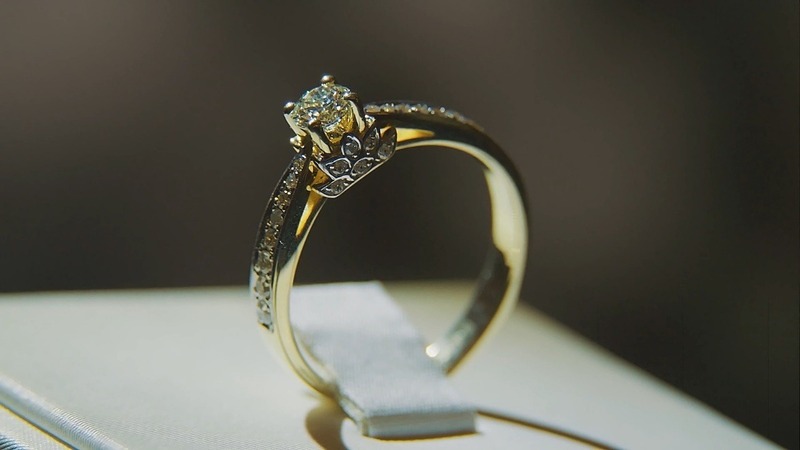 Australian Diamond Company are recognised for providing prestigious, sophisticated jewellery designs. Our expert team understand your love for breathtaking jewellery. If you’d like to see our showcase with the assistance of an experienced consultant, please call us on 03 9660 4455 today.